Take in the views from a garden and make use of amenities such as wireless Internet access (surcharge) and gift shops/newsstands. This hotel also features wedding services, tour/ticket assistance, and a picnic area. 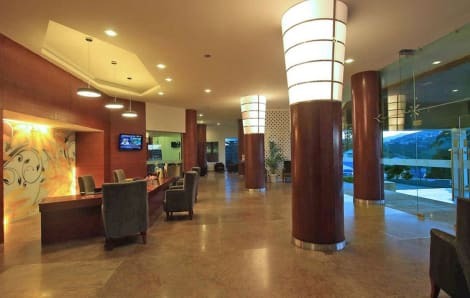 Set in Ooty, within 2.8 km of Ooty Lake and 2.1 km of Ooty Bus Station, Hotel Darshan offers accommodation with free WiFi. The property is located 3.6 km from Ooty Rose Garden. A tour desk can provide information on the area. A vegetarian breakfast is available each morning at the property. At the hotel you will find a restaurant serving Chinese and Indian cuisine. Hotel Darshan offers a terrace. Cycling is among the activities that guests can enjoy near the accommodation. Staff are always available to help at the reception. Hebron School Ooty is 3.8 km from Hotel Darshan, while Ooty Botanical Gardens is 3.8 km away. The nearest airport is Coimbatore International Airport, 99 km from the hotel. With a stay at OYO 3272 Haveli Athiti Bhavan in Ooty, you'll be a 1-minute drive from Nilgiri Hills and 5 minutes from Ooty Lake. This hotel is 6.3 mi (10.1 km) from Doddabetta Peak and 0.7 mi (1.2 km) from Thread Garden. 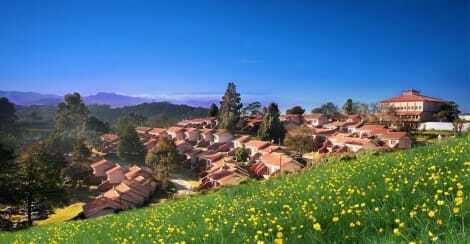 Deccan Sparsa a recent addition to the picturesque hill station of Ooty is an ocean of calm and sylvan bliss. Nestled amidst sprawling gardens at a walking distance from the famed lake the 59 cottage resort offers the seclusion from the hustle and bustle of the city at the same time providing all modern conveniences to travellers. From luxurious dwellings and ultramodern facilities to the finest selection of cuisine and warm service the Deccan Sparsa experience is unmatched. Relish on vegetarian multi cuisine delicacies at Olives or drop in at Downtown our lounge bar to enjoy your favourite drink. This apart recreational facilities like basket ball snooker table tennnis carrom & chess or the fully equipped gym will make sure to keep you occupied during your stay at the resort. Special sight seeing tours and bonfire can also be arranged. Come celebrate Ooty at Deccan Sparsa! Take in the views from a garden and make use of amenities such as wireless Internet access (surcharge) and an arcade/game room. Additional features at this hotel include tour/ticket assistance, barbecue grills, and a banquet hall. Enjoy a satisfying meal at Earls Secret serving guests of Kings Cliff. With a stay at Sterling Ooty Fern Hill in Ooty, you'll be a 1-minute drive from Nilgiri Hills and 7 minutes from Ooty Lake. 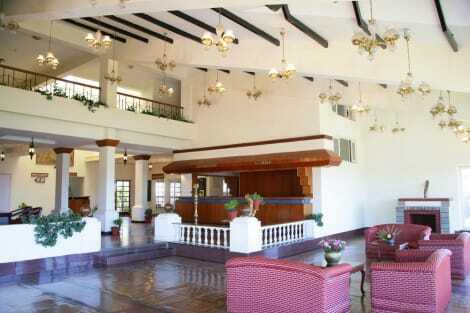 This 4-star hotel is 5.4 mi (8.7 km) from Doddabetta Peak and 0.8 mi (1.4 km) from Ooty Rose Garden. Make use of convenient amenities, which include an arcade/game room and gift shops/newsstands. 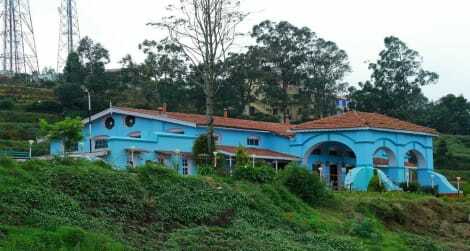 lastminute.com has a fantastic range of hotels in Ooty, with everything from cheap hotels to luxurious five star accommodation available. We like to live up to our last minute name so remember you can book any one of our excellent Ooty hotels up until midnight and stay the same night.